Erkki-Sven Tüür, who was born in 1959 in Kärdla on the Estonian island of Hiiumaa, is one of the most remarkable composers of his generation. Largely self-taught, he studied percussion and flute at the Tallinn Music School from 1976 to 1980; later, from 1980 to 1984 he studied composition with Jaan Rääts at the Estonian Academy of Music and took private lessons from Lepo Sumera. In 1979 Tüür founded a chamber rock group "In Spe" that soon became one of the most popular in Estonia. He functioned as composer, flutist, keyboard player and singer in this ensemble until 1983. From 1989 to 1992 he taught composition at the Estonian Academy of Music. His first great success outside of Estonia was in Finland (with Insula deserta, 1989). This led to a continuously growing chain of commissions from major orchestras and outstanding musicians from all over Europe, North America and Australia. He has worked closely with the hr-Sinfonieorchester (Frankfurt Radio Symphony Orchestra), Cincinnati Symphony Orchestra, Münchner Kammerorchester, Australian Chamber Orchestra, Finnish Radio Symphony Orchestra, Tallinn Chamber Orchestra, Estonian National Symphony Orchestra and the Estonian Philharmonic Chamber Choir. Tüür's favourite compositional medium to compose for is the symphony orchestra; his works have been performed by the BBC Symphony Orchestra, BBC Philharmonic Orchestra, Philharmonia Orchestra, Royal Concertgebouw Orchestra, Münchner Philharmoniker, NDR Sinfonieorchester, Chicago Symphony Orchestra, Cleveland Symphony Orchestra etc. There is a special relationship between him and conductors Paavo Järvi, Neeme Järvi, Tõnu Kaljuste, Olari Elts, Anu Tali, Markus Poschner and Alexander Liebreich. His music has been performed in renowned concert halls such as the Wiener Musikverein, Amsterdam Concertgebouw, Gewandhaus zu Leipzig, Berliner Philharmonie, the Salle Pleyel in Paris, the Royal Albert Hall in London, Carnegie Hall in New York, Suntory Hall in Tokyo, the Sydney Opera Concert Hall etc. 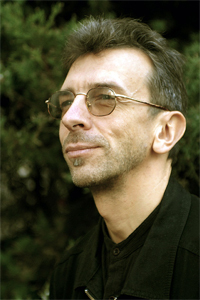 In September 2003 Tüür was composer-in-residence at the Klangspuren Festival (Austria); in 2007 he was composer-in-residence at the Auftakt Festival of the Alte Oper, Frankfurt and 2008 he was composer-in-residence at the Davos Festival. Erkki-Sven Tüür is one of the artistic directors of the International Festival NYYD in Tallinn and an honorary doctor of the Estonian Academy of Music. He has received the annual Estonian Music Prize (1987, 1988), Estonian Culture Prize (1997), Baltic Assembly Culture Prize (1998), Great Bear Prize (1996, 1997), Annual Prize of the Estonian Music Council (2003) and the Annual Prize of the Endowment for Music of the Cultural Endowment of Estonia twice: in 2003 for the CD „Exodus"; in 2005 for the artistic direction of the international contemporary music festival NYYD. In 2014, Tüür was awarded the Culture Prize of the Republic of Estonia for his Clarinet Concerto ‘Peregrinus ecstaticus’ and the orchestral work De Profundis. Peregrinus Ecstaticus was also awarded prize ‘The Young Musicians Favourite Choice’ of the Foundation of Prince Pierre of Monaco in 2015. In the same year, Tüür was given the Christoph und Stephan Kaske Stiftung's prize in Munich. Today Erkki-Sven Tüür is a freelance composer based in Tallinn and on the island of Hiiumaa.